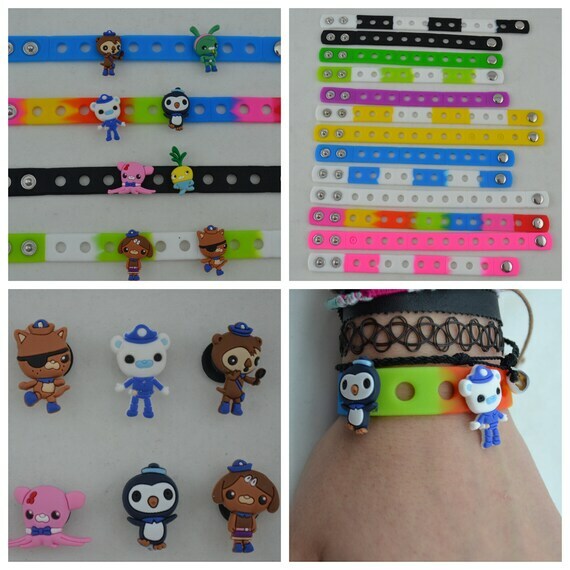 These Silicone Bracelets and Charms make great party favors and game prizes for your child’s birthday party. 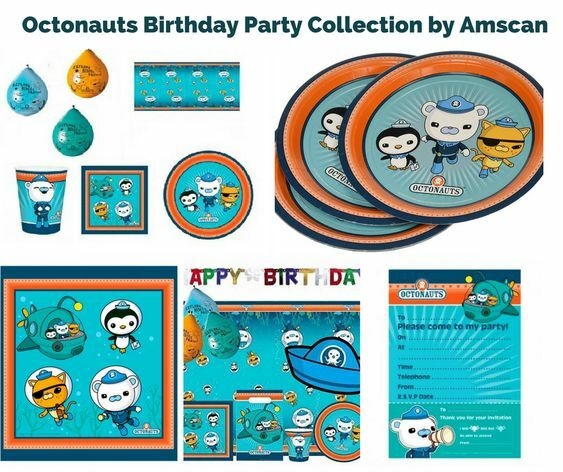 We have a wide variety of characters to choose from for any themed birthday party. 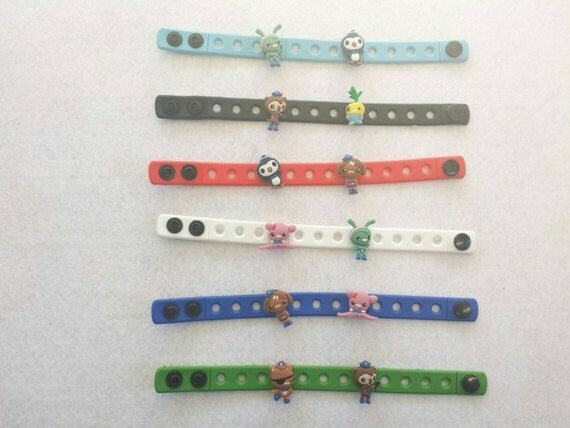 You could use the charms as cupcake toppers then give out the bracelets as take home gifts. The PVC charms can also fit into the holes of croc shoes! 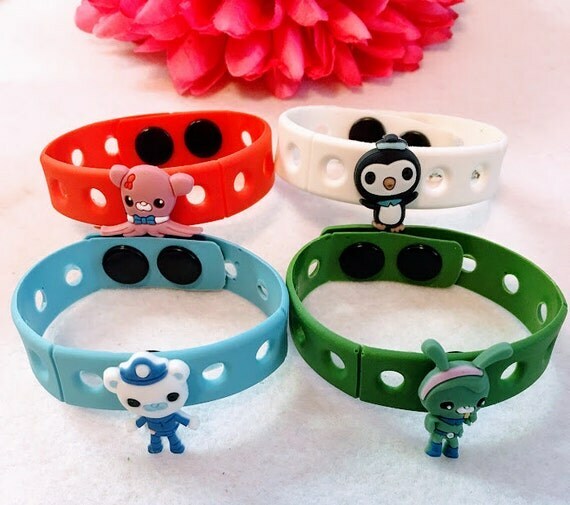 These adjustable snap silicone bracelets are great for children’s party favors! 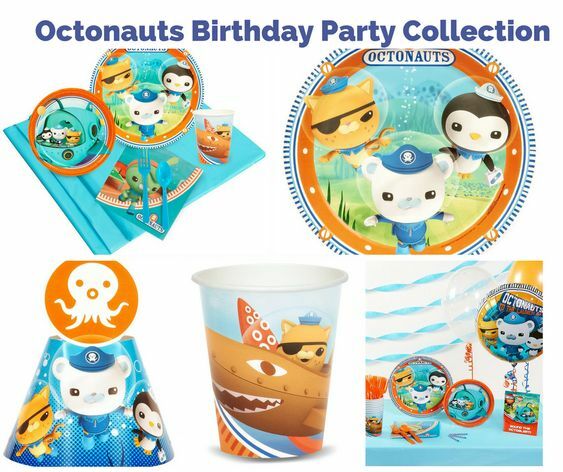 Great for any Octonauts theme party. 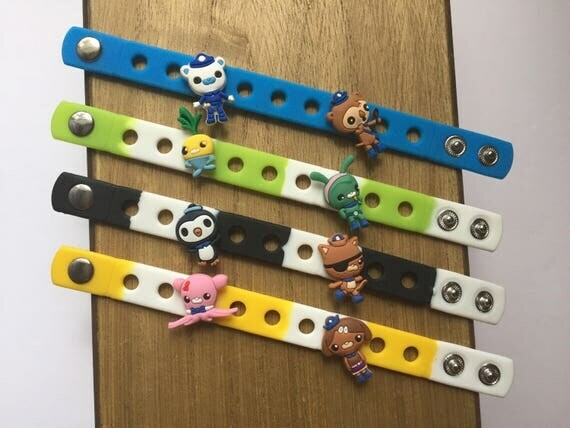 The PVC charms are very easy to attach to these bracelets and are comfortable for children to wear. These also make a great gift! These bracelets with charms will be a hit at your birthday bash as party favors or game prizes! You can choose the charms you want AND your bracelet colors! Just leave your selection in the message box at checkout 🙂 The last pic is all the bracelet colors I have available. If I don’t receive a note, I send an even number of charms and bracelets that match. All bracelets and charms are quality checked before leaving. 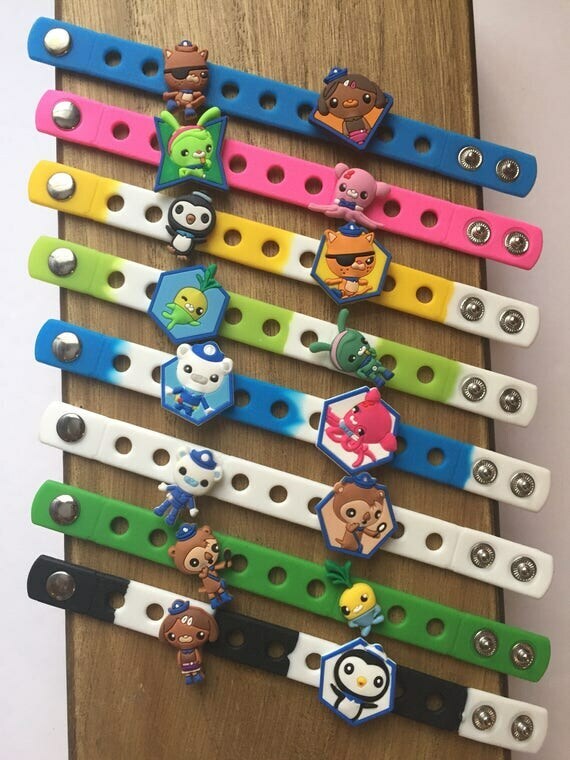 Made to order – the charms will come on the bracelet, BUT if you would like the kids to make their own bracelets, just let me know and I will keep them separate. Bracelet sets are individually packaged. Buy with confidence!!! See my 100% 5 Star Feedback from buyers.